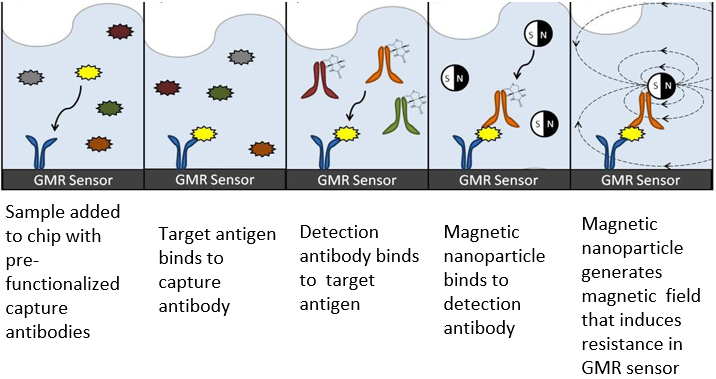 Our platform utilizes a sandwich assay in which the target antigen is sandwiched between two antigens, one bound to the magnetic sensor and the other to a superparamagnetic nano particle. 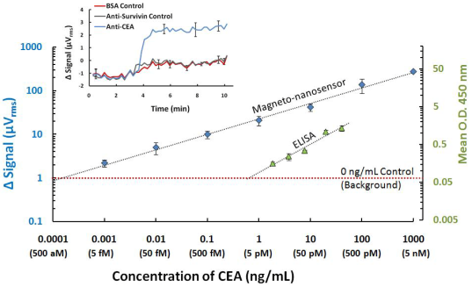 Under an external magnetic field, the nanoparticles magnetize and their presence or absence can be detected by the sensor. 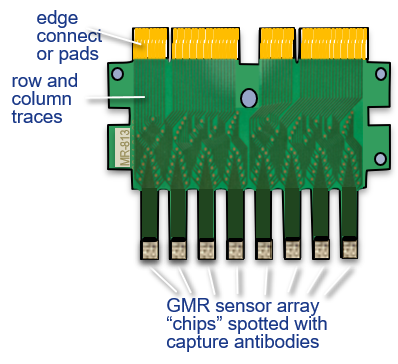 Using chips with 64 GMR sensors we show rapid multiplex protein detection with a liner dynamic range of over 5-6 orders of magnitude for a diverse range of biological fluids in real time. 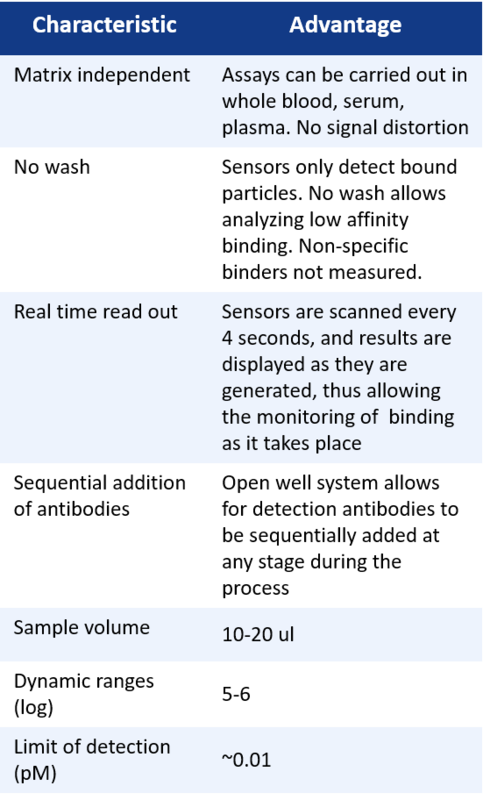 MagArray has 5-6 orders of magnitude greater dynamic range and a 1000 times more sensitive than ELISA. Matrix insensitive detection in different buffers. Truly a transformational platform that helps to bridge the gap between in-vitro and in-vivo. 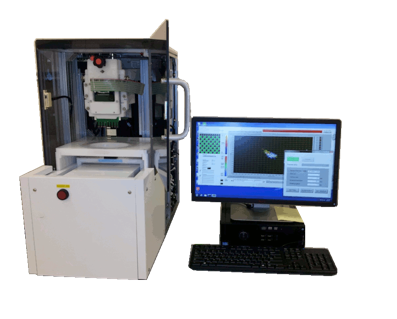 Matrix insensitive technology for measuring biomolecules in blood, plasma, serum, saliva and urine. 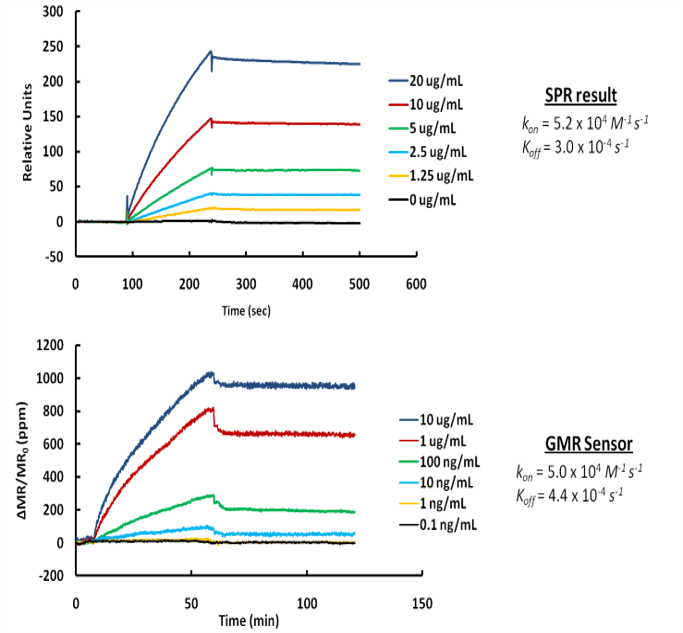 1000 times more sensitive than leading SPR technologies in measuring protein-protein interactions. Partnership with Hitachi Hi-Technologies allows expansion of platform for unmet needs in biological assays. R. S. Gaster, D. A. 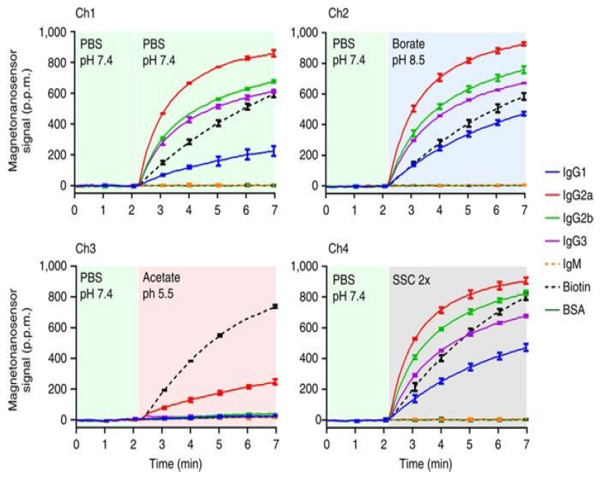 Hall, C. H. Nielsen, S. J. Osterfeld, H. Yu, K. E. Mach, R. J. Wilson, B. Murmann, J. C. Liao, S. S. Gambhir & S. X. Wang, “Matrix-insensitive protein assays push the limits of biosensors in medicine,” Nature Medicine, Oct. 11 (online publication), 2009. For pharmaceutical life science inquiries email Kalidip.Choudhury@magarray.com. We are always looking for new applications for our technology. Talk with us about how we might help you.